Women with dark or dense hair growth especially upper lips and want to get rid of unwanted facial hair permanently. 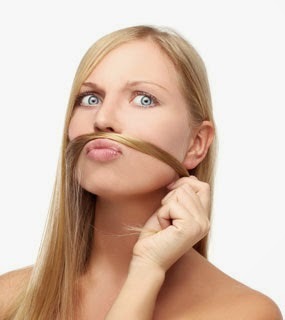 Unwanted facial hair growth may caused by hormonal changes in early age. We have a need to more conscious about our food and livings. Threading for unwanted hair is also and effective for all types of skin and even for sensitive skin. Laser threat is effective but more expensive treatment. Natural treatments are slow in results but has significant results to remove unwanted hair without pain and irritation. Banyan Tree Gum 1 –tablespoon, Fresh Cream 2 – teaspoons and Glycerin ½ - tablespoon. Aloe Vera Gel 1 – tablespoon Make a creamy paste to mix it all. Apply it on your face and gently massage with your fingers for 5-10 minutes and then leave it for 5-6 hours. Before rinsing it massages it again and then wash. Mix 1-2 teaspoon in half cup of goat’s milk and dip a soft cotton cloth piece in it. Rub your face 5-6 times with this cotton piece during the day. Within one or two weeks your facial hair will remove permanently. Make a thin paste with gram flour and rose water. Apply this paste on your face and leave it to dry. When it becomes dry again wet with rose water and rub softly with your finger tips for 2-3 minutes. Repeat 2-3 times and wash your face with lukewarm water. Within 4-5 weeks facial hair will remove permanently. Sugar/Brown sugar 200 grams, Lemon Juice 3-4 tablespoons, Honey 1-2 tablespoon, and Water 4-5 tablespoons. Mix all in a saucepan and put this pan over a low flame. Stir constantly until sugar melts and the mixture becomes quite hard (If you dip a spoon than bring out, it will be a string like fine honey). Turn off the stove and allow to cool it. Before use it check the temperature of the solution with a finger to make it sure your skin will not burn. Spread the wax solution with wooden spoon in the direction of your hair growth. Press a strip of cotton cloth over the wax and press it with fingers from the other side. After 25-25 seconds pull off the cotton cloth from the opposite direction of the hair. To reduce the redness wash the waxed area with ice cold water, hot wax open the skin pores but cold water close the pores. To stop the growth of unwanted hair use it twice in a week. Store it in the refrigerator in a bottle tightly. When you want to use it again dip this bottle in warm water for five minutes. Turmeric 1 – teaspoon full, Gram Flour 2 – tablespoon full and Milk 2 – table spoons. Make a smooth paste and massage it with your finger tips for 8-10 minutes and then leave it to dry. After drying it wet it with a little amount of water and rub the paste slowly and smoothly and rinse it with ice cold water. Turmeric makes effects to hide or remove unwanted facial hair after regular use. Egg white 1 – One, Honey 1 – teaspoon and Corn flour ½ - spoon. Make a thick but smooth paste with all this. Apply it on the effected area with a bleaching face brush and then leave it to dry for 10-15 minutes then peel it off in opposite directions. Rinse your face first with Luke warm water than with cold water. Most effective and natural tip for all of you. Use loofah pad to rub effected area, when you take a bath. Keep using it to girls from an early age, they must not face this problem at a young age.